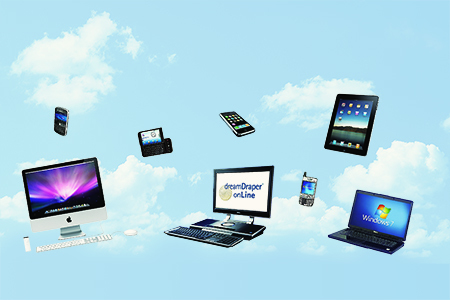 Produce estimates and invoices in an instant! Quick Quote® for QuickBooks® includes an extensive pre-programmed database to enable you to develop accurate window treatment estimates with NO MANUAL CALCULATIONS and no special fabrication expertise. 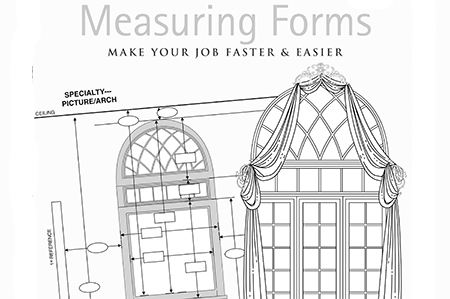 Pre-calculated yardage requirements for each treatment style and size prevent costly errors. Quick Quote includes patterns by M’Fay, Pate-Meadows, Patterns Plus, and other popular styles. 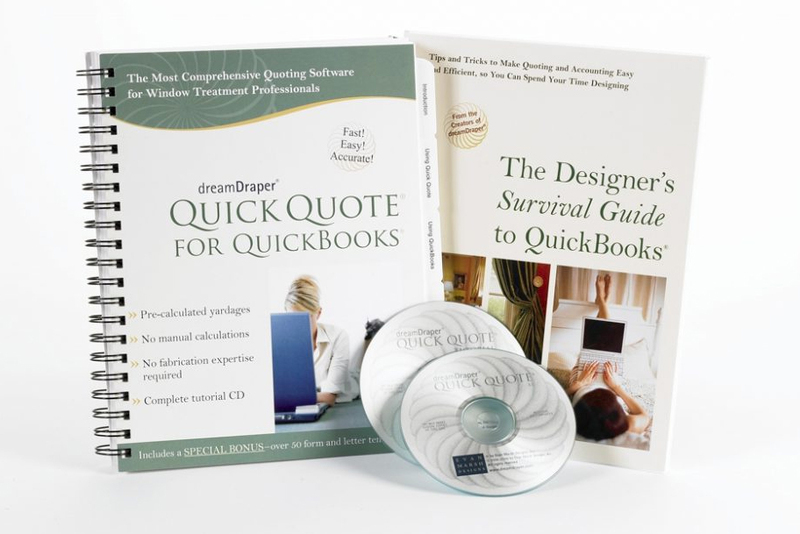 Package includes 55 templates for work orders, invoices, and customer letters, plus The Designer’s Survival Guide to QuickBooks, the most complete guide to Intuit’s QuickBooks – written by a designer for you. PC or Mac. Quick Quote requires that your computer have QuickBooks by Intuit installed. We also offer a three installment No-interest Payment Plan. Call our toll free number 1-866-56-DREAM if you wish to take advantage of this payment option.